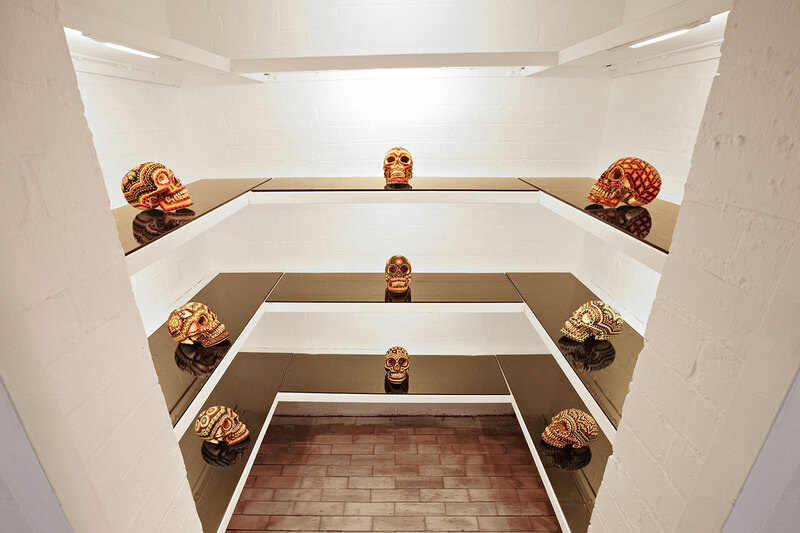 Right in the heart of Dalston in East London, hidden in what is arguably an odd location for a luxury store, lies a high end fashion boutique quite like no other. Although it might initially appear highly exclusive and elitist due to its secret doorway, lack of outdoor sign and the appointment-only basis on which it operates, in fact the truth is actually far from it. 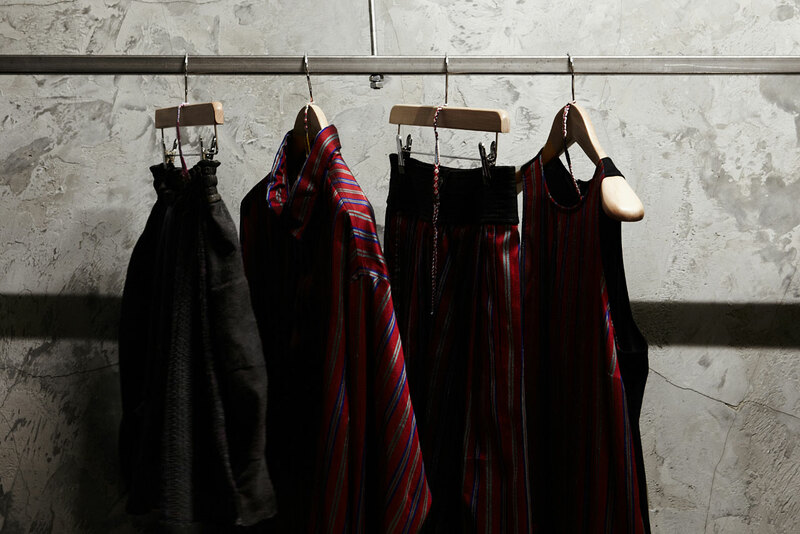 LN-CC (short for Late Night Chameleon Café) is more than your typical luxury store. It is a progressive retail concept that combines the roots of traditional retailing housed within an art-based installation. Promoting a forward-thinking lifestyle and avant garde fashion, it is a concept space that acts as an evolving platform of curated ideas, encompassing menswear, womenswear, music and books. Add to this a sleek online store run with the same progressive approach and attention to detail as the physical store space itself, and you have the full LN-CC package. Driven by a profound passion for innovation and cutting-edge ideas, LN-CC is a store that has something to say. And it does so loud and clear, setting it apart from any other London retailer. From the carefully edited selection of products sold through the store space and website, as well as the packaging and the people who constantly contribute to the ever-evolving project, LN-CC is about a non-compromise, non-prejudiced and non-exclusive point of view in fashion and lifestyle retailing. The store’s spectacular interior, nominated for the 2012 Designs of the Year award, was created by renowned London set designer Gary Card. 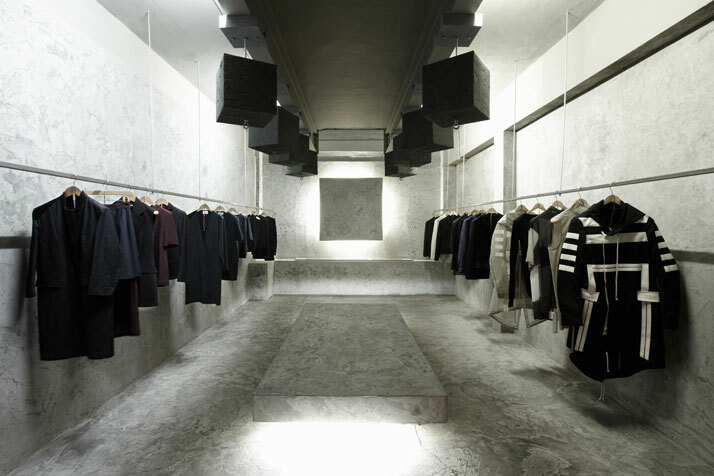 Resembling an installation piece rather than a traditional shop fit, it consists of four individual product rooms that house high fashion collections as well as a library, a record store, a gallery and a club space for private events with a custom-built vintage sound system. 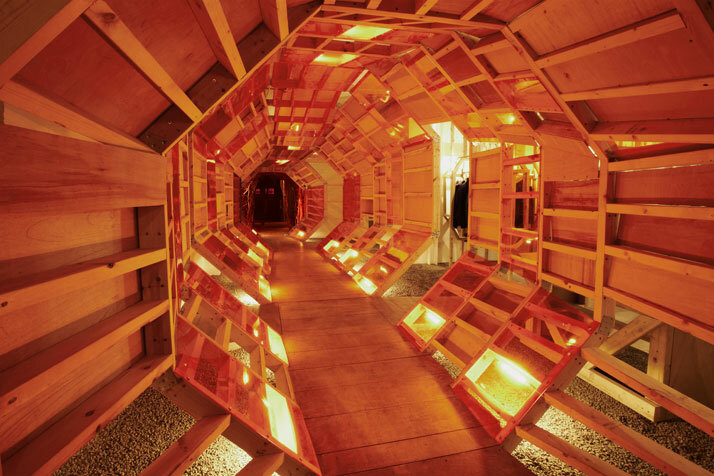 Walking through the futuristic skeletal tunnel constructed from raw wood and orange acrylic, the customer can explore novel and unexpected spaces that reflect the character of the items displayed. Uniquely conceived and designed as spaces with alternating moods and atmospheres, ranging from the sleek and highly finished to the raw, each room has its own theme that adds to and fully embodies the LN-CC concept as a whole. Making no compromises whatsoever on quality, originality and attention to detail, the LN-CC team carefully selects the most progressive and unique items for retail. The product rooms are filled with brands from international mainline designers through to underground Japanese street-wear. The store is also a great source for informative and enlightening collectables, such as hard to find/exclusive vinyl and out of print/1st edition rarities, housed within the library’s book and record selections. In addition to these, the store features an ever-growing selection of audio hardware from some of the most innovative and world acclaimed brands, alongside underground and emerging pioneers of sound. ''Everything in our mix is carefully considered, showcased and wrapped up in a way that we would appreciate them being presented if we were the consumer'', says the creative team behind the store. ''These are interesting to us as people, rather than just what we think we can sell'', they add enthusiastically. Continuing to push the boundaries in creative retailing, the store recently unveiled two completely new areas that perfectly complete the whole LN-CC retail experience. The SECULAR SPACE is a newly dedicated room displaying footwear and leather goods. 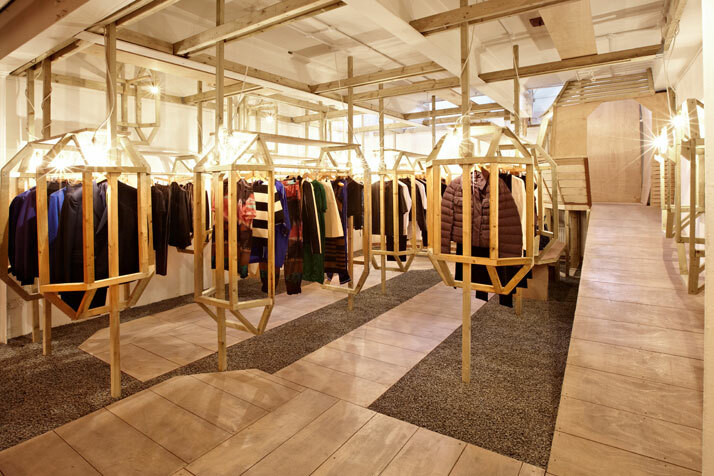 Constructed from crisp floor-to-ceiling neoprene, the room’s octagonal form mirrors the store’s existing main tunnel corridor, while its futuristic spaceship-like aesthetic beautifully juxtaposes the raw wood effect of said tunnel. 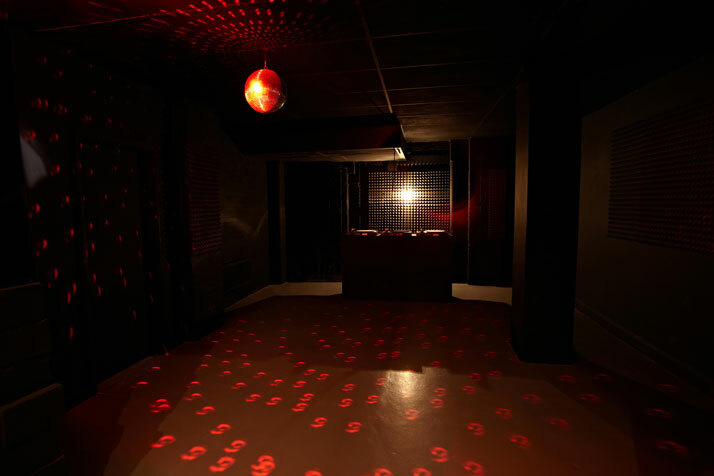 Then there’s the CHAMELEON SOUND SPACE private in-store bar which was created to further enhance and diversify the store’s multi-layered ambience with its angular wooden form. With its distinctive brand image and highly selective eye, LN-CC is a fashion and lifestyle haven for those in the know. 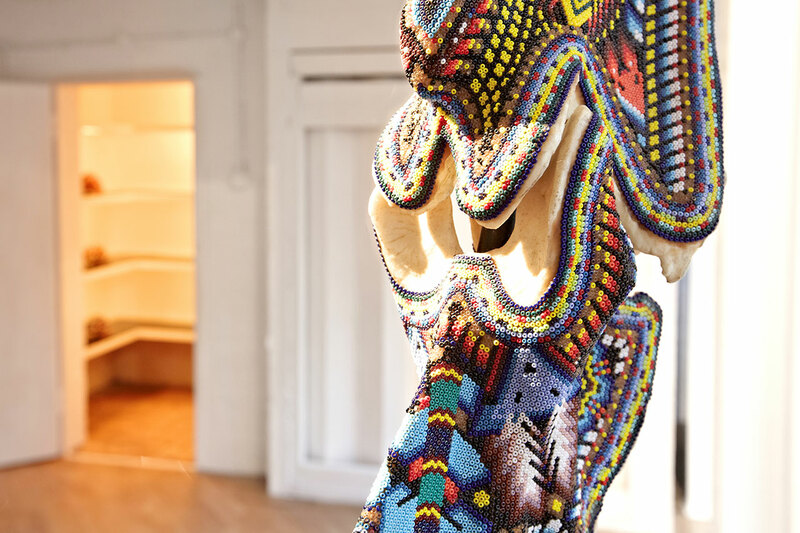 It appeals to consumers that share the same passion for innovative creations who are willing to go the extra mile to discover a truly unique space and a carefully edited selection of avant-garde fashion creations and more. With the new in-house record label that releases the work of artists who have personally influenced the LN-CC team, could this store possibly get any cooler?